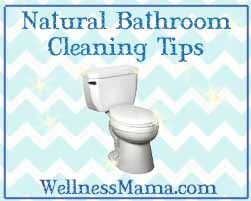 I’ve written many times about all-natural cleaning methods without the use of chemicals. Now to check off something that’s been on my list for a while: a complete cleaning checklist for the whole house! 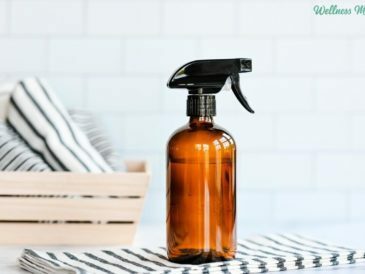 Sometimes it’s hard to get the motivation (or time) to take on deep cleaning, but the one time of year most of us feel like tackling it is when spring finally arrives and the weather warms up. So throw open the windows, print out this list, and let the dirt, dust, and toxins be gone! To get started, I created a room cleaning checklist and printed it out to keep in protective binder sheets (tape the top closed). I use these for reference (nothing motivates like checking something off!) and the kids can also use them to clean each room. In case you want to do this too, I’ve shared a free printable at the bottom of this post. Pick up everything on floors and move to appropriate areas. Open windows for some ventilation or turn on an air filter if you have one. Starting with the highest points (top of door and window frames) and moving down, dust furniture with a damp rag or microfiber cloth. Remember to dust lights and fan blades. Spot clean any spots on furniture using baking soda and water or a natural all-purpose cleaner and a damp rag. Wash any blankets or throw pillows if needed. Clean lamps with microfiber cloths or a damp rag. A hydrogen peroxide spray works to clean white lampshades. Wash windows and windowsills with microfiber or 50/50 vinegar/water solution. Remove blinds and wash in bathtub with vinegar and water or use some old rags and straight white vinegar. Wipe down electronics and electronic screens with microfiber or rags with just plain water. Use a damp rag with all-purpose spray or microfiber cloth to wipe down walls and switch plates. Wipe down doors and door handles (use hydrogen peroxide if anyone has been sick). Mop floors with microfiber or with a cup of vinegar in a gallon of water and a wet mop. Note: Vinegar is a natural and economical cleaner, but if you don’t like the smell of vinegar (confession: I really don’t! ), substitute with a pre-made natural cleaner. Branch Basics is my current favorite because it’s very safe, ultra-concentrated to cut down on plastic packaging, and works for everything in the house (bathrooms, glass, walls, wood floors, hand soap, and even laundry). I’ve included some other products I like in the resources below. Spot clean any spots on furniture using baking soda and water or an all-purpose cleaner and a damp rag. Refresh drawer freshener sachets if you have them. Clean lamps with microfiber cloths or a damp rag with all-purpose cleaner. A hydrogen peroxide spray works to clean white lampshades. Hang pillows and mattress pads in the sun for 2-3 hours to remove bacteria and air out. Dust, sweep, or mop under bed. Use a damp rag or microfiber cloth to wipe down walls and switch plates. Other tips for creating a sleep-inducing natural bedroom here. Starting with the highest points (top of door and window frames) and moving down, dust furniture with a damp rag or microfiber cloth. Take everything out of cabinets and closets and re-organize and refold. Wipe down shelves and inside with damp rag and all-purpose cleaner. Scrub down and clean shower and tub. 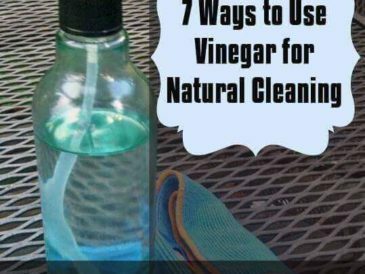 Vinegar and water works well and homemade scouring powder will work on tough scum and messes. Clean outside of toilet with hydrogen peroxide and inside with vinegar or all-purpose cleaner and baking soda and a brush. Shine mirror and windows with microfiber or with vinegar and water (50/50) mix and a clean rag. Wipe down counters and sink with all-purpose cleaner or microfiber. Clean floor and grout (use baking soda and hydrogen peroxide for stained grout). Restock Epsom salts, shower melts, and other natural bath supplies. 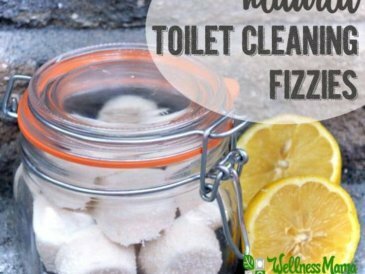 Other bathroom cleaning tips and specific recipes here. Starting with the highest points (top of door and window frames) and moving down, dust furniture with a damp rag or microfiber cloth. Don’t forget lighting fixtures and fans. Wash cabinet doors and knobs with microfiber or all-purpose cleaner. Clean inside of oven with baking soda and water paste (more info here). Remove food from fridge and freezer and clean inside with a 50/50 vinegar and water solution or microfiber. Return food to proper places. Pull out fridge and stove and clean underneath them with a vinegar and water solution. Dust refrigerator coils and clean out grate at front of refrigerator. Remove everything from counter tops and wipe down counters and backsplash. Wipe down each appliance and counter item before returning it. Clean dishwasher by running it empty with a bowl of vinegar (more info here). Clean sink and fixture with microfiber or undiluted vinegar on a wet rag. Sweep and mop floor and clean grout if needed. More specific kitchen instructions and cleaning recipes are here. Take everything out of cabinets and shelves and re-organize and refold. Wipe down shelves and inside with damp rag and all-purpose cleaner. Wipe down washer and dryer with wet rag and all-purpose cleaner. 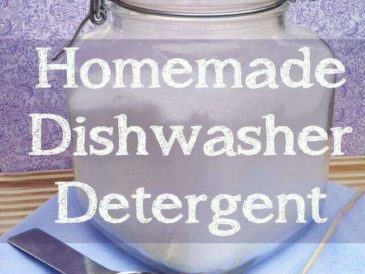 Remove dryer lint trap and wash with dishwashing liquid to remove film. Wipe down all walls, baseboards, and other flat surfaces to remove dust. Sweep and mop flour and clean grout if needed. Refresh laundry supplies including refelting or replacing wool dryer balls if needed. You can also download this free printable reference sheet for treating laundry stains naturally. I keep it hanging next to my washing machine for reference. Confession time: If you ever wonder how I do it all, well… I don’t. (Do any of us?) It’s all about priorities! I routinely make my own elderberry syrup, cook almost all of our food from scratch, and am always itching to work on my latest DIY project… but I did stop making my own green cleaners long ago. Why? Well, life is busier with older kids, a podcast, and a business. Plus there are so many better options on the market now than there were when I started blogging. (Thank goodness!) I’ve also worked hard on simplifying our belonging and systems and prefer to use one natural cleaner concentrate that works for the whole house. 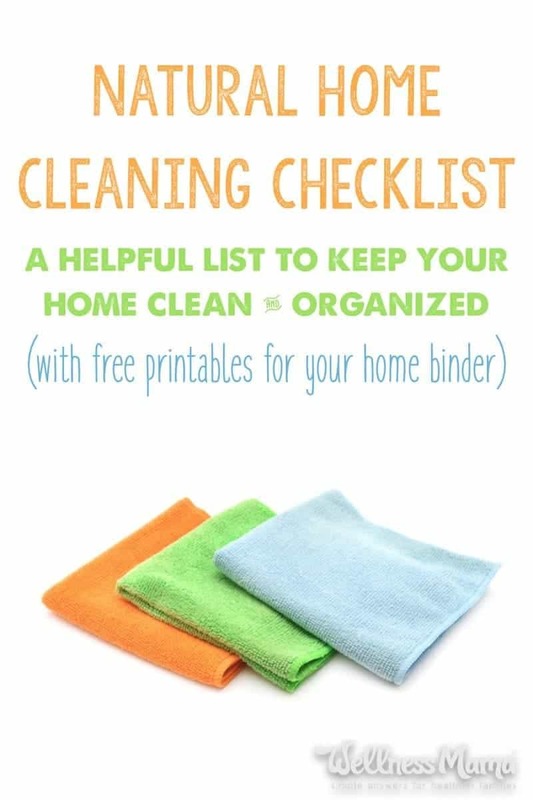 And the printable Deep Cleaning Checklist I mentioned? 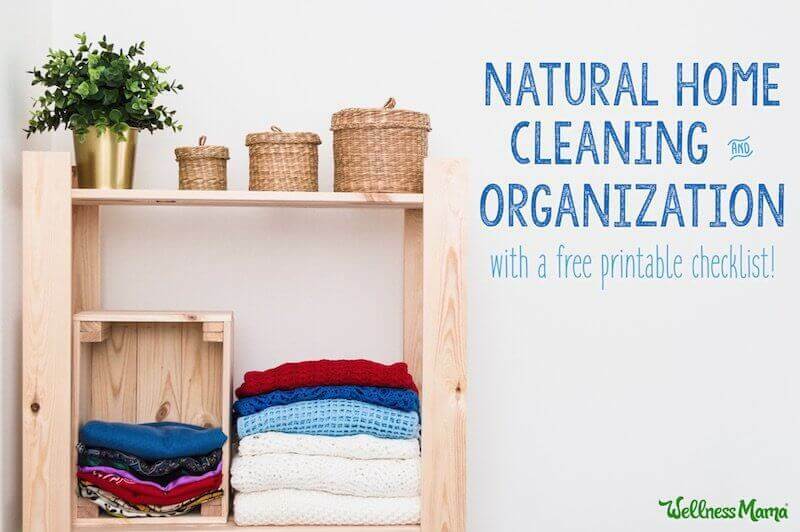 Download it for free here, or check out my complete Home Organization Binder printables with blank room cleaning templates you can customize. What did I miss? Do you have a cleaning checklist? Share below!